Should Toronto condo developers sell inventory before building more? The Canada Mortgage and Housing Corporation has some advice for Toronto condo developers: slow down. “When people come into the sales office… and they’re interested in buying a condo, channel that demand towards those that are already completed and unsold, or to units under construction, to the extent that you can, rather than channelling it to a new building that you start,” says Bob Dugan, the national agency’s chief economist. 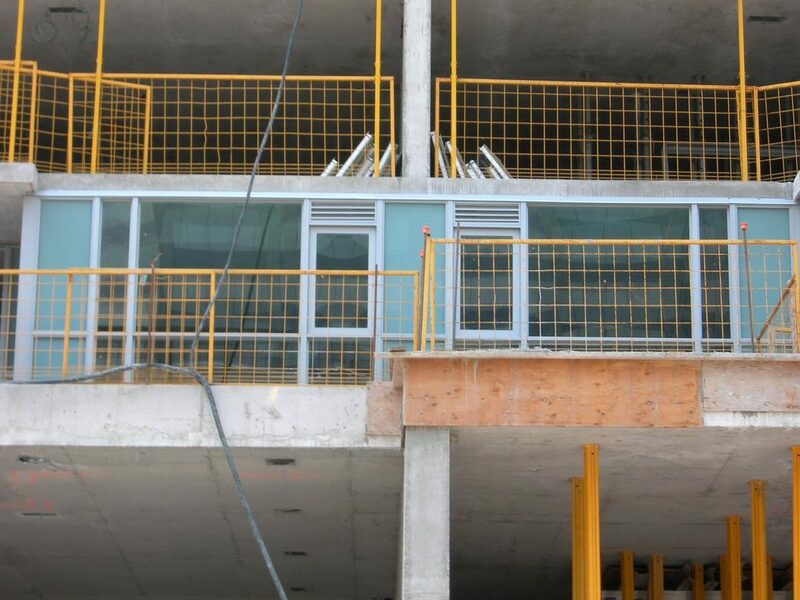 Put that together with unsold completed inventory, and if developers don’t take measures to guard against a possible ballooning supply in the future, it could lead to “an overbuilding problem for Toronto if those units [under construction] remain unsold at completion,” Dugan tells BuzzBuzzHome News. “Right now in Toronto we don’t have an overbuilding problem, but there is a lot of inventory in the condo segment, plus there’s… construction that could potentially add to that inventory down the road,” he explains. Dugan’s assessment echoes the Crown corporation’s latest quarterly Housing Market Assessment, released yesterday. In it, the CMHC said evidence of overbuilding, which is when housing supply exceeds demand considerably, in the city was weak, but that it would monitor developments. Thanks to Toronto’s low vacancy rate and dearth of low-rise homes for sale, developers should be able to sell the current supply of completed and unsold units, it stated, but CMHC also cautions that “inventory management remains necessary” due to the number of projects underway. According to Urbanation, a Toronto-based condo market data firm, 87 per cent of the 50,039 condo units under construction across the GTA in the third quarter of 2015 had sold. That represents a record high, says Shaun Hildebrand, Urbanation’s senior vice president, in an email. He also says builders have taken the right steps in recent years to control supply levels. “Purchaser incentives have been rolled out to increase sales for units already under construction, and fewer pre-construction projects have been launched,” he explains. Among the 10,604 condo developments that were currently being occupied in quarter three of last year but had not been registered as completed projects, 94 per cent had sold, according to Urbanation data. For projects that were registered as completions — sometimes there is a months’ long lag between a building being finished and actually being registered as such — 894 units were unsold, says Hildebrand. “But much of that is being rented out,” he adds. Hildebrand agrees that demand for rentals helps builders handle unsold inventory that is move-in ready. Speaking to Dugan’s advice that condo developers direct sales office traffic to existing projects rather than using it as a signal of demand to justify launching new projects, Hildebrand points out different buyer demographics.